Sister Christine Williams Cottingham entered into her journey of earthly life on June 24, 1954 at Bessemer General Hospital, to the late Earnest and Naomi Speight. Christine was the cherished baby sister of four siblings, Earnestine Taylor (Columbus, Ohio), Joanna Willis (Cleveland, Ohio), whom she leaves to mourn her passing. Her brother, John Jacob Speight, preceded her in death. Christine confessed Christ at an early age and later in her life she obtained a closer, deeper love and relationship with her Lord and Savior. Christine attended and graduated from West Blocton High School. At her class reunion, she met and reunited with her high school sweetheart, Ronnie D. Cottingham. They later married. Christine joined Ebenezer Baptist Church some 18 years ago before she became ill and homebound. Christine was a dedicated member of the Ebenezer Inspirational Choir and a hands-on Deaconess. She was always willing to cook or bake cakes and pies for special occasions at the Church. Momma would always say, “I have to bake Pastor Hudson his cake”, and she would make sure that Ronnie Jr. got it to his study and shut the door. That was just her way! Our Mother was a strong, beautiful spirit who touched everyone’s heart that came into her path. Her AS A MATTER OF FACT character was refreshing to all that knew her. Christine was a TELL IT LIKE IT T.I.S person. She was the life of all our parties!! She also had her gentle, fun-loving nature and giving spirit. When she loved you, she loved you! Christine had a very special relationship with her sisters. She talked with them almost daily about what was going on in the family. Her sisters were her life line and she adored them! Sister Christine leaves to cherish her loving memory: four biological children, Timothy O. Williams (Deseshi), Anita M. Mayo, Caroline I. Williams and Ma’rice L. Jones Williams. 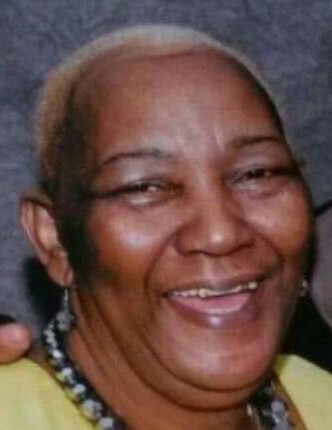 She also leaves five more children, whom she never called, nor let anyone else call them her step children; they loved her dearly, Ronnie D. Cottingham, Jr. (Francesca), Antonio Cottingham (Latisha), Lakisha Morris (Jesse), Marquis (Rico) Cottingham (Shondalyn) and Jeremy Cottingham; four grandchildren, Darrell L. Mayo, Jr., Nariah N. Mayo, Rachell M. Mayo and Christ’ion L. Nix; one uncle, Ben rice (Mary Cherry). She also had nine more grands and thirteen great grands, a host of nieces and nephews, cousins and friends.